Lice are NOT fun. But they’re also not the end of the world. Let’s admit it—head lice are right up there with every parent’s worst nightmare. There are bugs crawling around on my kid’s head? There are bugs crawling around on my kid’s head! There are bugs crawling around on my kid’s head??!! Yep, not a fun sentence to say, no matter how you say it. Maybe this isn’t theoretical for you, and you’re one of many parents who are dealing with a lice infestation right now. But hold on—before you panic, go back and read that last line again. Maybe you’re one of many. Head lice are common. Even the CDC agrees. You may feel isolated in your battle to rid your children and home of these microscopic terrors—but you’re not alone. You’re fighting a battle fought by many frazzled parents who have come before you—and many will be scrupulously picking through their child’s hair long after your own children are lice-free again. Even so, you might be feeling a little guilty. When you first discovered your child’s head lice, you probably thought something along the lines of: Oh, great. We’ve probably already infected the whole school. And the other parents will know it was us. Somehow they’ll know we skipped bath time last night because the kids cried for two hours when I accidentally bought vanilla ice cream instead of chocolate. They’ll know that after the kids cried themselves to sleep, we quietly snuck them into their beds instead of giving them baths. What now? I guess we’ll have to sell the house. Move to a new school district. We’ll be a family of vagabonds. First things first: You don’t have to sell your house. You’ll get rid of the lice, and then you’ll clean the house, and no one will know the difference. We’ve even got some cleaning tips to help you through it. And you’re not dirty. Neither are your kids. Lice are most often spread from head-to-head contact. Your child probably got lice from one of the many friends and family members they hugged over the holidays, or maybe they got it from another student when they went back to school. But they definitely didn’t get lice because you let them skip their bath last night. Here’s the truth: Lice are ruthless creatures whose only mission is to ruin the lives of even the best parents out there. They don’t care if your child takes two baths a day, or always finishes their food without complaining, or gets straight A’s (Does this child really exist???). They make their homes atop the nearest warm head they can find. That innocent-looking kid who played the angel in the Christmas play? He probably had head lice, too. And you might even find—dare I say it—a bright side to head lice. Consider this story from a mom who took her kid’s head lice as an opportunity to cancel all her plans, completely guilt-free. I’m sorry I have to cancel our meeting, but my child has head lice, so I’ve got no choice but to lock myself inside and re-watch The Office for the third time through. Ah, relaxation at its finest. But even if you don’t go all the way to finding the bright side of lice, just know that you don’t have to deal with it alone. We’re here for you. 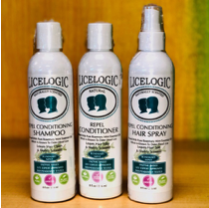 Schedule a lice check appointment with us, or come into your local KidSnips to pick up some of our lice treatment and prevention products. We’ll answer any questions you have about lice, and do everything we can to make your lice removal process as stress-free as possible. We can’t promise to make dealing with lice the most fun experience you’ve ever had, but we will do our best to make sure it’s not the end of the world. While we are happy to check your child for head lice, we want to protect everyone in our salons, so we follow state guidelines and cannot cut your child’s hair until the lice has been cleared up. If you would like to purchase a lice treatment kit, our stylists will gladly talk you through the instructions and answer any questions you may have.